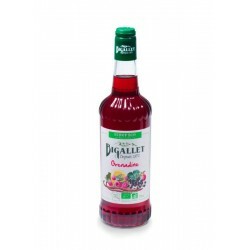 Bigallet's raspberry syrup is soft to the honeyed flavor of lightly cooked raspberry. It is dark red in color. Its nose has a pleasant fruity fragrance. 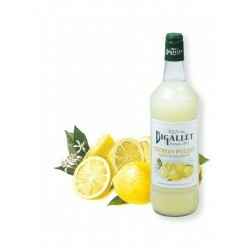 It is ideal for flavoring cocktails, smoothies, fruit juice or milk. Ingredients: Sugar and glucose-fructose syrup, water, fruit juice based on 10% concentrate, natural flavor of raspberry and other natural flavors, natural flavor of red fruits, acidifying agent: citric acid.